Spared from the gift of voice, dogs communicate primarily with their body, and their ears are mobile parts that can be quite effective in communicating emotions. Unlike human ears, which are flat and pretty insignificant often hidden under hair, a dog's ears on the contrary are quite prominent, with long visible flaps as in the beagle or erect pointy devices as seen in German shepherds. 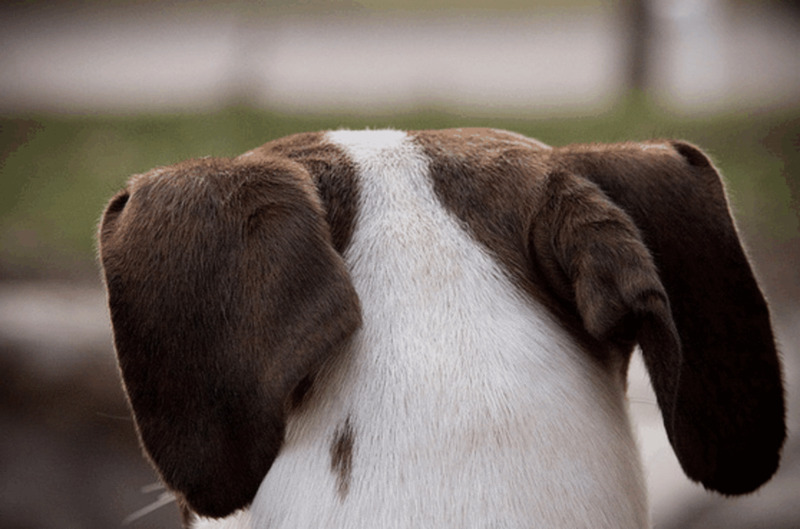 This is because ears in dogs have a dual-functionality: both as effective hearing devices and intriguing communicative means. Of course, the ears alone are only one piece of the puzzle. 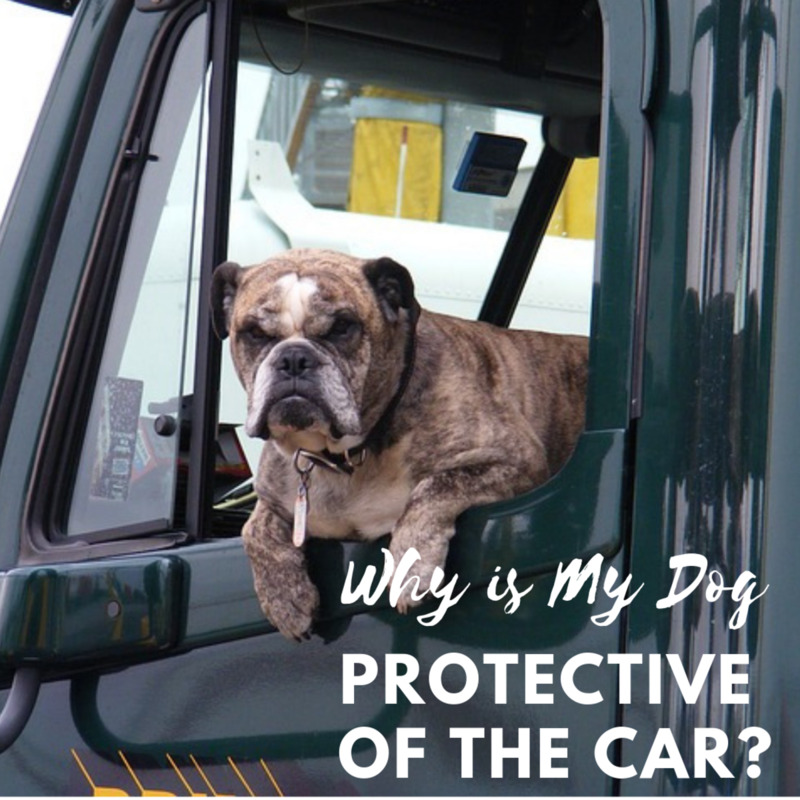 By looking at the whole context and the dog's accompanying body language, we may gain more information. Following are some examples of ways the ears are used in dogs to communicate emotions. In this case, the ears are kept in a normal position. In dogs with pendulous ears the ears will just drop normally, in dogs with erect ears they will be neither forward or back. The dog is relaxed, unconcerned about his surrounding activities. Doesn't feel threatened. The accompanying body is relaxed with the mouth opened slightly, normal pupils and tongue exposed. In this case, the dog is focused on something. They ears may be kept forward if the interesting stimuli is ahead, or they may twitch to capture any sound. The accompanying body language is often suggestive of alertness. The dog may be ready to pounce or can simply take a "wait and see" approach as he evaluates what happens next. This dog in the picture looks as if he is hunting and perhaps spotted something, his ears are forward and the gaze is attentive. In this case the ears are up and the dog's body is ready to spring into action. This dog is in a play bow stance, which is a meta-signal communicating that it's all play and whatever happens next is not to be taken seriously. The pupils are often dilated, the mouth is commonly open (though not in this picture) and the tail is up and wags broadly. In this case, the ears are forward and the dog slightly tilts his head as if saying 'what was that interesting noise?". In this picture, I was making a noise with my mouth to get his attention and the noise made my Rottweiler Kaiser curious so he tilted his head as if trying to find the source of the noise to learn more about it. He does this also when I say a sentence, and there's a word in it that he is familiar with, as if he was saying: "did you just say walk?" Stress in dogs may manifest in several ways and can be caused by different triggers. It could be triggered by social or environment stimuli. The ears in such a case are also kept back. In this picture, the ears are kept back and the accompanying body language is suggestive of an anxious state of mind (tense body, lips pulled back). Often the dog is panting as well. This Belgian malinois is perhaps stressed by the shock collar he is wearing, not a happy camper at all! In this case the dog may be submissive and perhaps a tad bit intimidated. The ears are back, the tongue is out. The eye contact is usually brief and tentative in this case. If stressed, the dog may leave sweaty paw prints. This dog may be somewhat intimidated by the camera and is offering signs of submission as if trying to pacify and avoid threat. When a dog is fearful, the ears may be pulled all the way back, almost flat on the head.The effect is more noticeable and dramatic in dogs with erect ears. It's almost as if the dog is making sure the ears are non-accessible from a possible threat. This makes sense, since the ear flaps are quite fragile overall, and can be easily injured by another dog or animal. In the past, ear cropping was carried out just for that, to no longer allow opponents/predators a place to grab. Today, the ear cropping practice is mostly cosmetic surgery and banned in several countries. This picture shows two dogs that appear quite fearful. Notice how the ears are kept flat and out of harm's away in the dog on the left. Flattening the ears when in fear may also be triggered by a dog's desire to become smaller, almost invisible. A tail between the legs, lowered body, may further confirm this desire. Of course, the accompanying body language in these dogs in the picture further confirms their anxious state of mind. The caption of this picture was 'Fraidy cats, reaction from the the Evil vacuum" Apparently these two fellows shared a strong vacuum phobia. They almost seems as if they were caught off guard. The dog is wary of a situation, a bit suspicious about what may be going on. The ears may give an impression of being sightly splayed or may appear spread sideways. Often seen when a dog is uncertain about a situation that is unfolding. This can take a turn into aggression or fear depending on what happens next. Notice the white of the eye showing and slightly tense mouth in this fellow. During the aggressive display when dealing with an offensive threat, you may notice ears forward or slightly to the side, a wrinkled forehead, raised hackles, "C" shaped mouth and stiff body with stiff tail that may vibrate side to side. These signs are often seen in confident dogs which may attack if challenged. 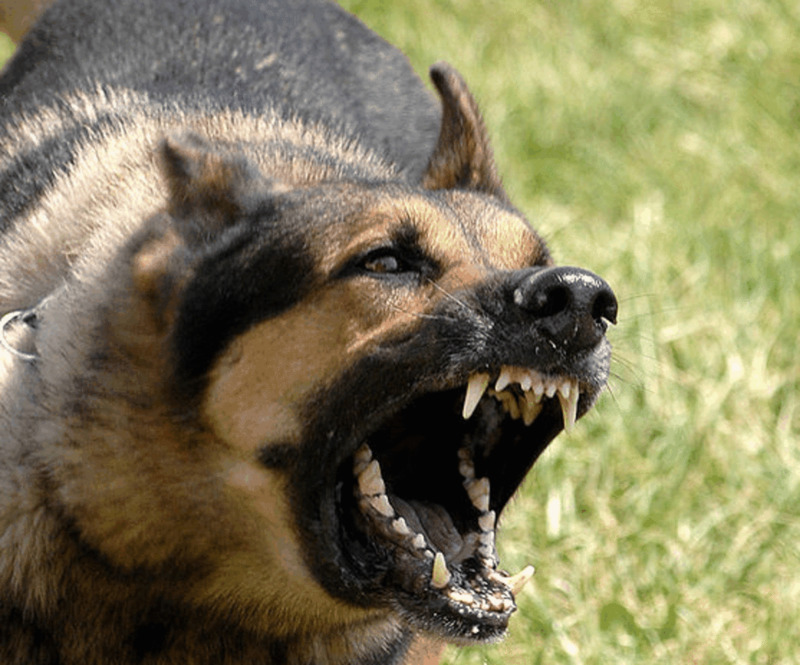 When dealing with a defensive threat, you may see instead ears pulled back, dilated pupils, raised hackles, lips slightly curled and teeth that can be visible, wrinkled nose, lowered body, tucked tail. The dog is frightened and may attack if pressed or cornered. Did you know that a dog's ear is composed by at least 18 muscles? This is fascinating as these muscles are responsible for making those the ears tilt, rotate, flap down and raise. Movement of these ears is important so dogs can detect the source of sounds, and as mentioned, communicate emotions. Did you also know that dogs are capable of moving their ears independently from one another? Quite amazing creatures dogs are! Not many people are aware of how sensitive dog's ears are. 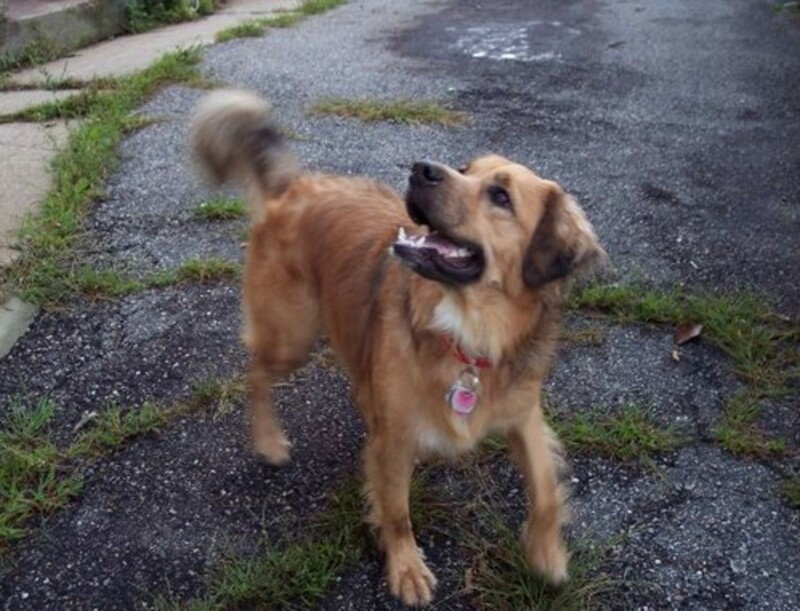 Dogs hear noises at high-frequency levels. This means dogs can detect annoying sounds we common humans are not aware of. Did you know that innocent, common household items such as TVs, digital music players, video games, washing machines and dryers cause indoor ultrasonic noise pollution detectable by dogs? These can potentially cause stress in both dogs and cats according to Vet Street. Some food for thought! The ear canals of dogs are not the easiest to examine and clean. Indeed, the ear canals are shaped like an "L" making dogs prone to annoying ear problems. Did you know? Dog ears come in different shapes and sizes. Interestingly, in some cases, the shape of the ears helped dogs do what they were selectively bred for. For instance, the long ears and pendulous lips of beagles may be probably built that way so to assist in trapping scents close to their noses, according to Bruce Fogle. Following are some types of ear shapes. Of course, the shape of ear affects how dogs are capable of communicating and our ability to read their emotions. The most common type of ears in dogs are the erect, pointy types as seen in many Northern breeds such as huskies, Samoyeds and malamutes. You can also admire them in German Shepherds, basenjis, dingoes and New Guinea singing dogs. In some cases, a dog's ears are artificially made erect through a surgical procedure known as ear cropping. So don't be fooled by the erect ears of many dobermans, great danes, boxers and pitbulls; these breeds aren't born with those erect, pointy ears! Also known as round- tipped ears, these ears are erect, but courtesy of selective breeding, instead of having a sharp tip, they are nicely rounded. You can admire this ear shape in the French bulldog and the Chow Chow. When the ears are erect, large and almost disproportionate compared to the head, they are known as bat ears. These ears are typical in both corgis and chihuahuas. These are ears that seem to be in a way in between erect ears and pendulous ears. Basically, the ears are erect, but bend over at the tip. These are the ears commonly seen in the rough collie, border collie and pitbull when the ears are kept natural and un-cropped. In this case, the ear is sort of semi-pricked, but the skin fold is longer and ends up covering a good part of the ear, covering the ear canal. The name derives from the fact that the ear somewhat resembles the the buttoned area found on a pocket on a shirt. You'll see this type of ear in several types of terrier dogs such as the Jack Parson terrier and fox terrier. Yes, they;re cute as a button~! The ears cannot be ignored in drop-eared dogs, they are simply hanging down. Among the many changes domestication has brought in dogs, is the pendulous ear. If you are intrigued by the effects of domestication, you may find " the farm fox experiment" an interesting read. The first dogs that comes to mind when you think about drop ears are the hounds. The ears are pendulous and flat. These are pendulous ears, but unlike being flat as the drop ear, they have distinct folds and hang down a lot. You'll see this type of ear in the blood hound. This type of ear is apparently only present in one breed: the Bedlington terrier. And you definitively cannot confuse this breed with another as it's so unique! In this case, the ear is for the most part erect, but the skin folds backwards. The name comes from the fact that the folds form what looks like petals forming a rose. You''ll see this type of ear in greyhounds, whippets and bulldogs. Stanley Coren " How to Speak Dog"
Psychology Today " What Shape is Your Dog's Ear?" 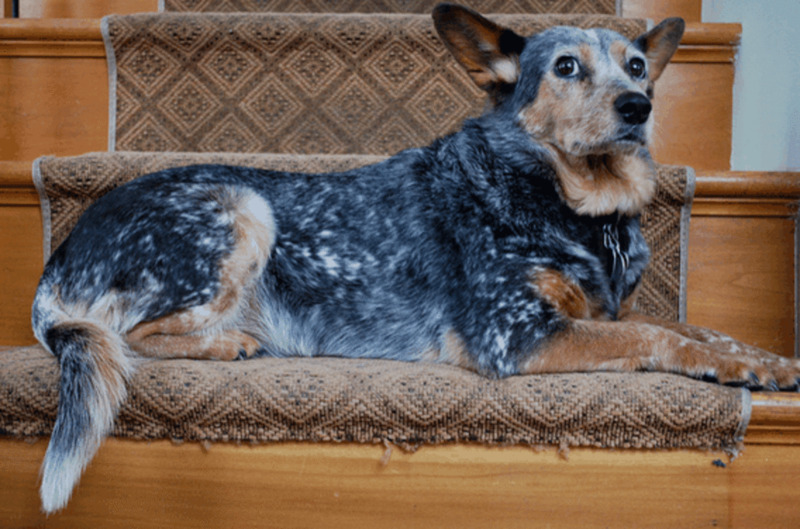 What are dog displacement behaviors and when do they pop up? 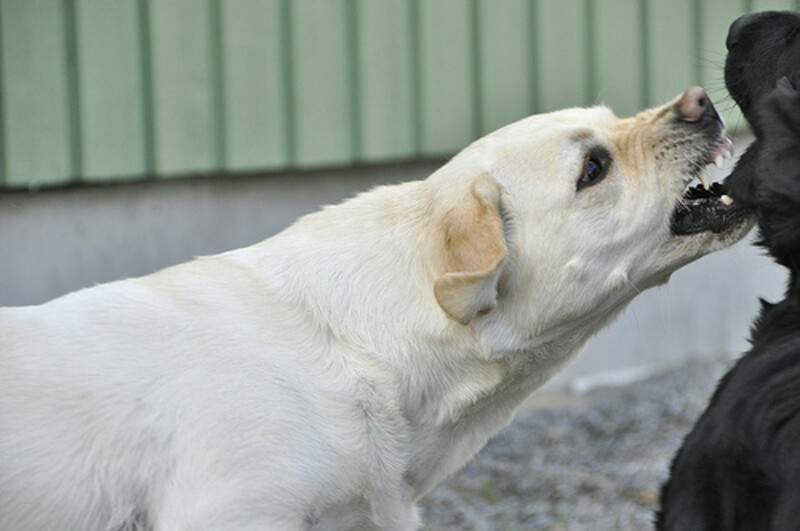 Learn why it's important to be aware of these sometimes odd, out-of -context behaviors in dogs. Interesting; thanks for the insight! I love my dogs drop ears they are so cute. She is always relaxed. Interesting article on dog ears. dogs ears are really alert, cats have good nose senses. Eiddwen, happy you found the article interesting and useful. I appreciate the votes up. Kind regards! Another interesting and useful hub alexadry .Voted up. Kaiser is a "head tilt" master. He learned to do the head tilt on cue, but when he does it spontaneously it's more impressive. Walk, out, food, treat, are his favorite words! Thanks for stopping by! Kaiser did a wonderful job in showing interest. Really straining to hear that word "walk." LOL. Interest hub on ears. They say a lot sometimes.